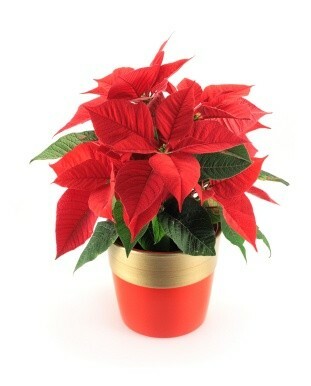 Bring the Christmas spirit to a home or office of a family member or friend by sending this Christmas Poinsettia Plant to someone in Brazil. The vase may vary according to availability. Poinsettias are a much-loved traditional holiday plant; they were first cultivated by the Aztecs in Mexico and were introduced to the United States by Joel Poinsett, American Ambassador to Mexico at that time. 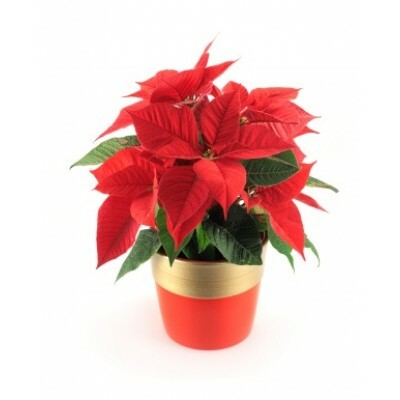 This red Poinsettia is a very nice and charming holiday season gift.